Enjoy the top 1 famous quotes, sayings and quotations by David Ausubel. 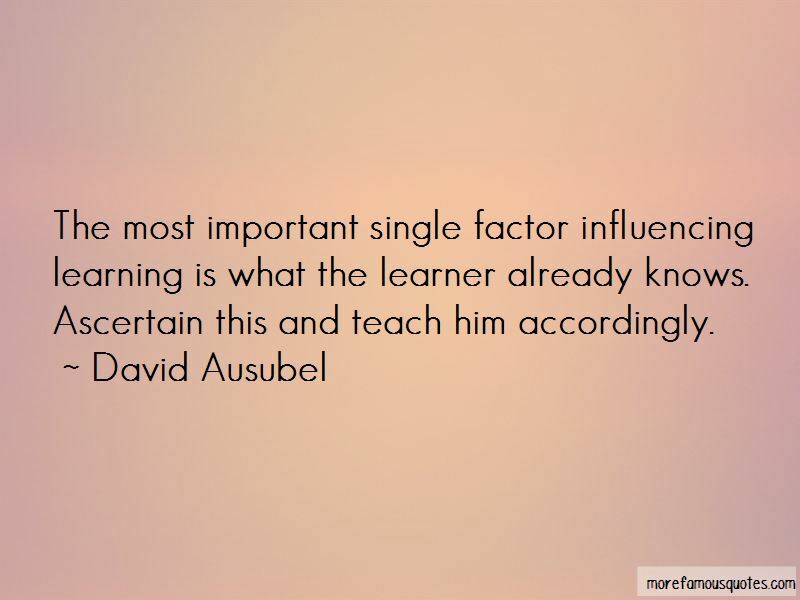 The most important single factor influencing learning is what the learner already knows. Ascertain this and teach him accordingly. Want to see more pictures of David Ausubel quotes? Click on image of David Ausubel quotes to view full size.